We’d love your help. 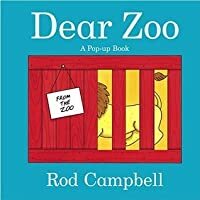 Let us know what’s wrong with this preview of Dear Zoo by Rod Campbell. A child writes to the zoo for a pet. The zoo send a series of unsuitable pets, revealed behind flaps in the form of crates and packing cases. These animals are all sent back for different reasons, except the last one, which is perfect! Dear Zoo is twenty-five years old -- and still as popular as ever! And with an updated look, this children's classic is sure to delight a n A child writes to the zoo for a pet. The zoo send a series of unsuitable pets, revealed behind flaps in the form of crates and packing cases. These animals are all sent back for different reasons, except the last one, which is perfect! To ask other readers questions about Dear Zoo, please sign up. Do you like the animals? Best Books for a Baby Shower! Huh, I somehow missed this excellent very-easy-reader when I was kid and only just encountered it as my baby niece had it. She handed it to me in exchange for my Michelin Must Sees Milan & Italian Lakes guide, which apparently I am not getting back. I did not get to keep this book, either. Babies are unfair like that. 5 months later this is still a firm favorite with my niece, who wanted it read three times before bed. She has memorized it now, and certainly knows the name of all the animals, but seems to enjoy pretending to not know them. If I ask, "What do you think is in this cage?" and she knows it is a lion, she'll say "Giraffe!" and when we get to the giraffe she'll insist it's a kitty, and that sort of thing. Two-year-olds are quite contrary. This is just the bestest Lift-a-Flap book evah! Hilarity ensues as the crates start arriving, and the kid ends up having to send the animals back. A puppy. (view spoile This is just the bestest Lift-a-Flap book evah! There are probably a few animals that I've forgotten about, but you get the gist. Each are in a crate/cage/box/basket, and you get to Lift-the-Flaps. 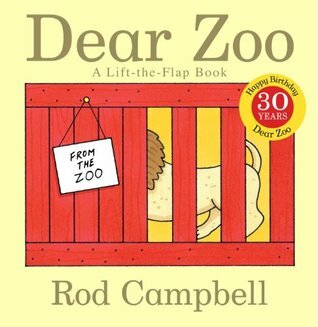 “Dear Zoo” was written as a lift-the-flap board book in 1982, by the Scottish author, Rod Campbell. It is his most famous work, and thirty-five years later, it is still tremendously popular among the under fives in Great Britain, and has been translated into more than a dozen different languages. 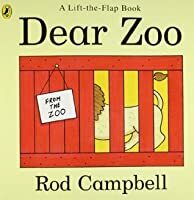 and just as in the original book “Dear Zoo” was written as a lift-the-flap board book in 1982, by the Scottish author, Rod Campbell. It is his most famous work, and thirty-five years later, it is still tremendously popular among the under fives in Great Britain, and has been translated into more than a dozen different languages. and just as in the original book, the opposite page shows a mysterious “something”, hidden in a crate. But this book has a delightful extra feature. It is a “noisy” book! And I can assure you (because I’ve done this myself) that if you accidentally sit on it, you will find that it might trumpet at you, or chatter like a monkey, or even (and this is a bit scary if you’re not expecting it!) even hiss like a snake! The sounds are operated by a series of 8 colour-coded buttons, each with a picture of the appropriate animal. A simple instruction to press the button is underneath the main text each time. The ladder of buttons is set into a raised platform down the right hand side of the book. It stands proud throughout the read as the pages are turned, and lies flush with the padded cover when the book is closed. The story goes through seven animals in turn. After the elephant comes a giraffe (“press the giraffe button to hear the giraffe munching”) who was “too tall”. The lion was too fierce, the camel too grumpy, the snake too scary, the monkey too naughty, the frog too jumpy … Each time the reason for returning the animal is different, and the words of the instruction are also slightly different (eg. “grumpy” and “grumbling”; “jumpy” and “croaking”. The buttons are not in the same order as the pictures in the book either, so the child has to think, and look carefully to choose the right one. “sent me a …” and in the container is hidden a (view spoiler)[puppy, who of course gives a yippy bark! (hide spoiler)]. There is a lot of merchandise and many spin offs from “Dear Zoo”. For the very youngest children, “Dear Zoo: Animal Shapes” is a sturdy board book. “Dear Zoo: Buggy buddy” is also suitable for very young children. It has a handy strap which can be attached to a buggy, or a child’s cot. There is a colouring book, where children find the animals hiding beneath the flaps and colour them in, and an activity book, including 40 stickers. A “Spin and Say” book includes a wheel with a pointer to all the different animals. There is even a Christmas title, called “Dear Santa”, which follows the same format, with different gifts from Santa hidden under the flaps. However the Dear Zoo: Noisy book is well nigh perfect. It includes the fun element of flaps, teaches both the names of the animals and how to identify them. It invites questions such as: “How big is the crate?” and “What sort of animal might fit inside there?” It uses language with simple repetition, but also creatively. It has clear, attractive and humorous line drawings in bold colours. My 2-year old niece will probably love this one. I can't believe this was a new book when I first read to my children 25 years ago-they were babies! How fast time goes. I remember this book as being great fun. They both loved it. Lần đầu tớ tận mục sở thị cuốn này là ở nhà sách Phương Nam. Thử một hai trang đầu, chúng tớ thấy thích quá thế là tớ quyết định... gập lại để về trên kệ luôn. Má ôi! Thân gửi Sở thú với tớ lúc ấy như món ngon phải để dành ăn vào thời điểm thích hợp, ăn một mình, ăn ngay, ăn trọn, ăn từ từ, ăn không ngừng nghỉ. Tớ phải canh me trên Tiki đợt Hội sách Online rồi mới được thỏa mãn cách đây đôi ba hôm gì á.
Đây là điển hình của kiểu sách nhõn vài chữ nên phải đọc từ trang cuối quay l CƯNG HẾT CHỖ NÓI! Kiểu sách thế này trước đây tớ có gặp qua ở quyển Có vòi không phải con voi trong bộ Câu đố dân gian cho bé của Nhã Nam. (Tất nhiên là Sở thú ra đời trước - theo thông tin trên sách là năm 1982 - nhưng xét theo thời gian xuất bản ở Việt Nam lẫn thời điểm tớ gặp gỡ thì Sở thú vẫn cứ không phải quyển đầu tiên.) Tuy đến sau nhưng Sở thú có thân hình mũm mĩm hơn, nước da bóng bẩy hơn, trang điểm (ý là minh họa đó mà, í hị...) lộng lẫy hơn và mặt nạ (ý là hình lật) bí ẩn hơn. Vậy nên tớ yêu Sở thú. Ngoài dùng để xem tranh và học đọc (tốt với các bé lớp một, vì có rất nhiều từ và câu được lặp lại), quyển này còn có thể kết hợp chơi ghép tính từ nào với con vật nào. Thôi thì tớ nhớ kém nên tớ đố và con gái tớ trả lời. Đến lượt nàng ta muốn đổi vai thế là tớ trố mắt lên: "Thôi, đọc xong rồi, cất sách đi con." I borrowed the words from this book and set the book aside for parents to look at and/or check out. Its much more fun when you're "reading" this with babies and toddlers and using something fun, furry and soft. "I wrote to the zoo to send me a pet..." (That's a direct quote from the book) and then I'd pull out a different puppet from the box and bring it to lif I borrowed the words from this book and set the book aside for parents to look at and/or check out. Its much more fun when you're "reading" this with babies and toddlers and using something fun, furry and soft. "I wrote to the zoo to send me a pet..." (That's a direct quote from the book) and then I'd pull out a different puppet from the box and bring it to life for a few seconds. It was fun to have the parents and talking kids chant the line over and over with me. And it was even more fun to see the children's excitement when a "live" animal came out of the box. Priceless. Another librarian I know, "read" this one a different way. She collected a bunch of small boxes and made them look they came in the mail, then she put animal fingerpuppets inside. During the program each kid got to pick a box from the mailbag and they said the quote from the book and then opened the box...SURPRISE! There's an elephant inside! I've got a sticker on the back of my car that says "Dogs are for life, not just for Christmas" (What?!?! Ok, I'm one of those smug animal lovers who have naff, self righteous car stickers. And I couldn't say no to the animal charity where I got my dog from, when they asked me to stick it on my rear screen window.). Regardless. Is it a bit hypocritical of me to be endorsing this book, based on my ethical beliefs that animals are not toys to be swapped, sold on, imprisoned or treated as inanimate o I've got a sticker on the back of my car that says "Dogs are for life, not just for Christmas" (What?!?! Ok, I'm one of those smug animal lovers who have naff, self righteous car stickers. And I couldn't say no to the animal charity where I got my dog from, when they asked me to stick it on my rear screen window.). Regardless. Is it a bit hypocritical of me to be endorsing this book, based on my ethical beliefs that animals are not toys to be swapped, sold on, imprisoned or treated as inanimate objects, blah, blah, blah. Am I delivering a dark, subconscious message of irresponsibility to my child when I read her this? But my daughter really loves this book. And my husband told me to lighten up, get off my high horse and "it's only a kids' book. Don't worry about it." So maybe the lift up flaps are great. And how lovely it would be to have a zoo keep sending you animals on demand. Yeah, ok, it's a fab book. Probably the toddler's favorite. He likes to make the animal sounds (on a related note - anyone know what sound a giraffe makes?). The 6 year old also enjoys reading it to him, so it might be my favorite book as well. My Grandchildren loved this book. Really entertaining read that children enjoy. Cute little book and my children love opening the flaps and shouting out the animal names. This story is a fun introduction to animals and their characteristics. It is written in the first person, with repetitive sentences. The nature of repetitiveness enables young readers to predict and engage with the story. The story is written as a letter to a zoo asking them to send a pet to the reader. Each page has a flap which carefully hides the animal sent from the zoo and a written clue for example, ‘heavy’ or ‘danger’ on the animal’s container. At the end of each page there is a simple reason why the animal was not kept and the sentence, ‘I sent him back’. After a variety of animals have been sent and returned to the zoo for being unsuitable, the zoo carefully contemplates what animal would be best and send a dog, which is kept because it is ‘perfect’. The story enables children to identify what animals live in a zoo and raises questions about the characteristics of animals and their suitability as pets. The story can prompt discussion on pets the children may have or would like. This story is probably best suited for young children and can be used individually or in a small group or whole class reading. This is a fun and interactive book, children will enjoy lifting the flaps. It describes they animals and explains why they would not be a suitable pet. This teaches children about the difference between wild animals and pets. Children can guess what animals they think will be behind the flap and explain why, which encourages verbal reasoning. The book provides ample opportunity for discussion the children can talk about what animal they would like as a pet. The children will be asked to explain This is a fun and interactive book, children will enjoy lifting the flaps. It describes they animals and explains why they would not be a suitable pet. This teaches children about the difference between wild animals and pets. Children can guess what animals they think will be behind the flap and explain why, which encourages verbal reasoning. The book provides ample opportunity for discussion the children can talk about what animal they would like as a pet. The children will be asked to explain what they think would happen if the kept a wild animal as a pet. They can also talk about where wild animals are kept. The children can engage in role play and pretend to be the animals. With slightly older children they can think about how it would feel to be a cage/box etc this can be done through role play and discussion. Citizenship- Children can think about the advantages and disadvantages of living in the wild. 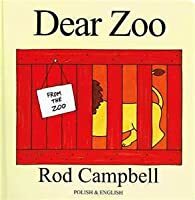 The book ‘Dear Zoo’ by Rod Campbell was a favourite amongst the children at my nursery. It’s a story about a child who writes to the zoo asking for a pet, and receives a number of unsuitable animals from them. The children at my nursery really loved the interactive ‘lift the flap’ element and would ask for this book to be read to them again and again. After memorising the entire story they would then be reading it back to me! 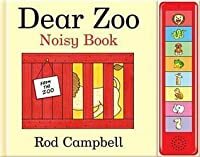 It was a great way to build children’s knowledge and understanding of The book ‘Dear Zoo’ by Rod Campbell was a favourite amongst the children at my nursery. It’s a story about a child who writes to the zoo asking for a pet, and receives a number of unsuitable animals from them. The children at my nursery really loved the interactive ‘lift the flap’ element and would ask for this book to be read to them again and again. After memorising the entire story they would then be reading it back to me! It was a great way to build children’s knowledge and understanding of the world, by making links with animals, their names and their characteristics. It was also really enjoyed by the EAL children in the nursery, as many of them already knew the animal’s names and joined in with the sounds these animals make. Also the repetitiveness of the story makes it easier for all children to join in. After seeing firsthand how well children engage with this book, I would have to recommend it to anyone teaching the EYFS. There is a reason this book has been in print for some 25 years and counting. It captures perfectly what occurs in any family whenever a kid decides that they want a pet. This kid goes a little over board but hat makes the book even more heartwarming. The flaps are also great for little hands as they discover the surprises beneath. Find Dear Zoo: A Lift-the-Flap Book at the Westminster Public Library! I can't get enough of this book. The pop-up animals seemed so real, I had to pull the snake's head off to stop it from biting me. I read this to my toddler at least six times a day, so I think it should count toward my challenge goal. 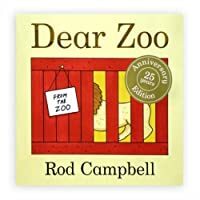 As he hasn't ruled out one day becoming a zookeeper, Ben found the premise of this book intriguing; a kid writes a letter to the zoo and gets free stuff. Sounds great, right? After all, he's currently unemployed and can't very well buy his own things, let alone afford a pet. Also there's flaps and those always blow his mind. But as we read on and flipped the flaps he had some questions that kind of took him away from the story, like what are lions and how exactly does being fierce disqualify the As he hasn't ruled out one day becoming a zookeeper, Ben found the premise of this book intriguing; a kid writes a letter to the zoo and gets free stuff. Sounds great, right? After all, he's currently unemployed and can't very well buy his own things, let alone afford a pet. Also there's flaps and those always blow his mind. But as we read on and flipped the flaps he had some questions that kind of took him away from the story, like what are lions and how exactly does being fierce disqualify the lion from being a good pet? Also, what does fierce mean? And how can the zoo afford to keep shipping these animals to a random little kid who wrote them a letter? Who's responsible for the return postage? His eyes kind of wandered away from the story which I could take to mean he was ready for his morning nap or that he would have liked another page for each animal showing how they were too fierce or too scary. This is a super cute children's book that has flaps to reveal different animals the zoo sent to the writer. It all ends well and it's interactive for the child! I do think that the 'scary' animal was actually pretty cute. A sadistic zookeeper attempts murder by luring a small child into close contact with a lion and a snake. You have got to ask some serious questions about the ethics of a zoo that will send a tiger(!) to you at the merest postal request. That's just cavalier at best. "I wrote to zoo to send me a pet. They sent me a camel but he was too grumpy so I sent him back." "I wrote to the zoo to send me a pet. They sent me a frog. But he was too jumpy so I send him back." "I wrote to the zoo to send me a pet. They sent me an elephant but he was too big so I sent him back." We have both a board book and a paperback. Baby loves them, and seems to make no distinction between board book or paperback. She's very good at waiting until just the right moment to lift the flap. I am worried about the moral of this story. I do not wish for my Baby to (a) think she can write to a zoo for a pet, (b) think she can keep wild animals as pets (c) think she can return gifts ad nauseum or (d) want a puppy.